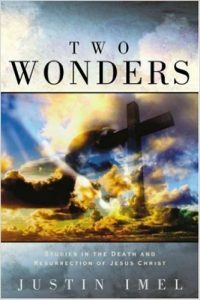 Two Wonders | Paperback | $11.99 | Dr. Justin Imel, Sr. The death and resurrection of Jesus Christ are the two most important events in human history, events which call all of us to gaze upon the Lamb of God wonder. In Two Wonders, Dr. Justin Imel, Sr. presents lessons on these two important events.